The all-time best film in the history, Avatar is an epic and James Cameron had already said after its success that there will be a continued world of this film in the future. Guess what, his words are coming true now as the news of the sequels is making rounds these days. 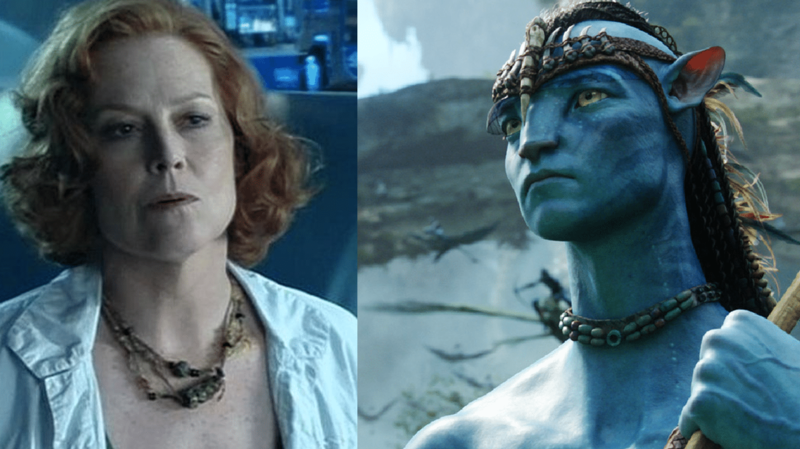 Recently, actress Sigourney Weaver told that she’s, in fact, started shooting for Avatar 4 and 5! The actress said that she’s busy doing 4 and 5, after noting that she’s already completed Avatar 2 and 3 also. Guardians of the Galaxy actress Zoe Saldana also had already finished with the second and third sequel, back in June itself. In a recent interview, when Sigourney was asked about how the development is going with the Avatar sequels then she revealed that she will be returning in the films but didn’t tell exactly about her role. Her character of Dr. Grace died in 2009’s Avatar, so it will be exciting to see how and in what manner she comes back. Telling about it she said that it’s a continuous character. They just finished shooting two and three. They shot in LA and James has announced publicly that there’s a lot of underwater work, so they learned how to free dive and they did many scenes underwater which was challenging and kind of cool, she further told. James Cameron has compared his Avatar projects to the iconic and legendary, Godfather trilogy, in the past. Sigourney also said that all the Avatar films can be watched separately, but they all work together as ‘a big saga’. When being asked about how the Avatar sequels will be affecting the entertainment industry, then Weaver said that she thinks that because the water becomes another world. The scripts are amazing, and in the first one, which she loves, she thinks he (James) hadn’t set up a lot of things. In this one, he got to tell one very personal story. They’re amazing. There’s a message to not sacrifice everything for greed and conquest. It will take all four movies to really make that message loud and clear for the whole world, she ended.